As a kid, we had an artificial one and I loved it! With colorful lights, gold garland and filled with all our childhood ornaments - it definitely wouldn't be instagram worthy these days, but it was so pretty to us! And since Brandon and I've have had 8 (married) Christmases together, we've had a mix of real and fake. We went the fake route the last 3 years though because we went Florida for two weeks and I didn't want it to die. But this year, we got a real tree! 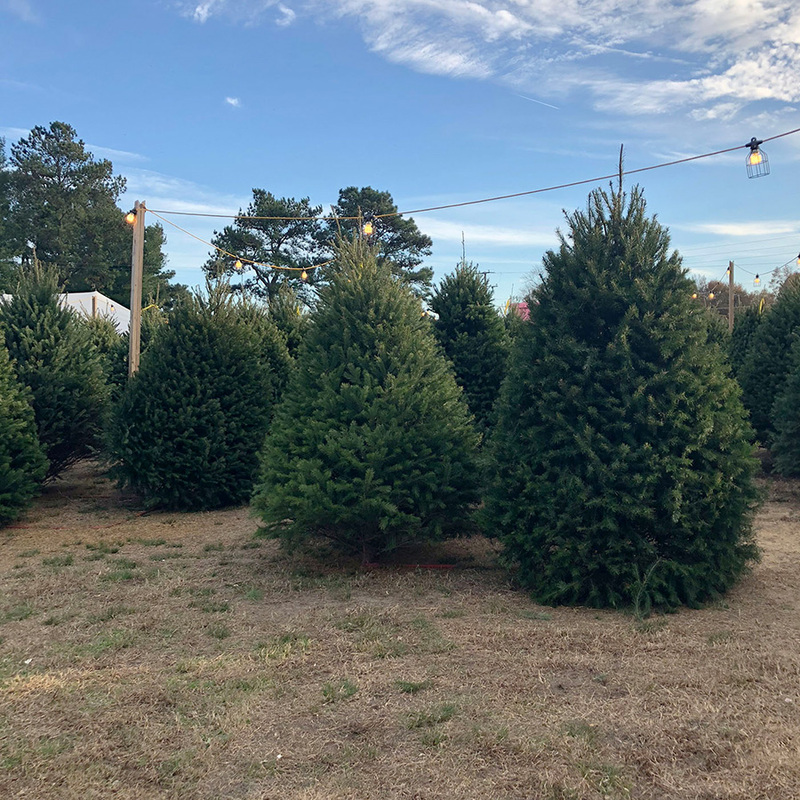 In NY we would go to an actual tree farm, cut it down and drag it all the way back (usually in the snow and/or freezing temperatures, but around here, they have tree lots. At least, that's all I've seen. And as you can see, it wasn't freezing - Brandon's in a tshirt! And I was pretty warm with even a light sweater on. It's about 95% decorated. I ran out of silver garland, so the bottom part is a little naked! haha I went to my closest Target (still 35 mins away!) and they were out!! So I'll be hitting every last Target in the VA Beach area later today to find more! 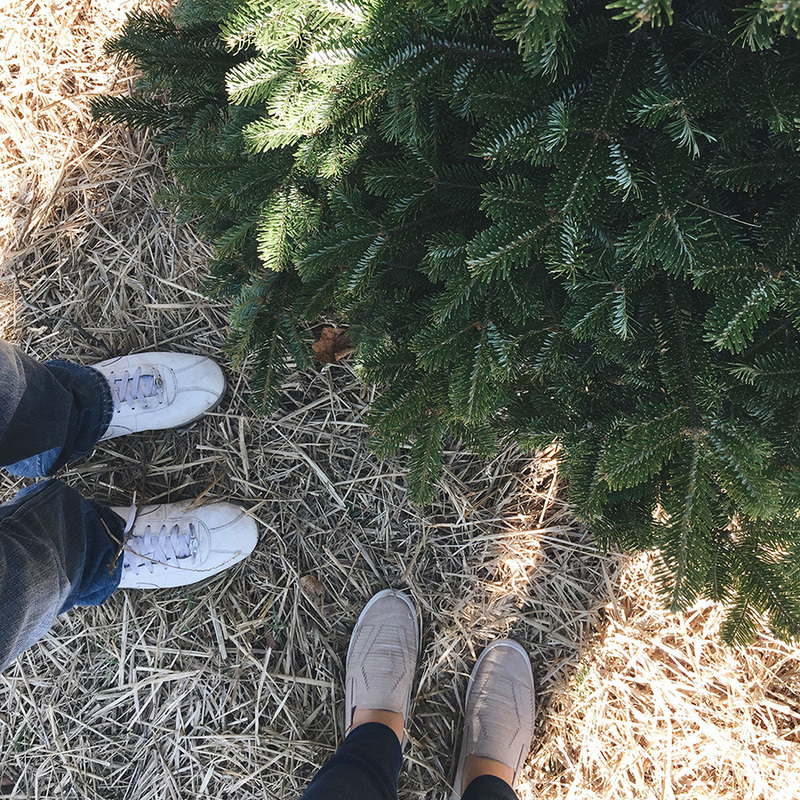 So, did you get your tree yet? Are you team real or fake? What about lights - white or color? 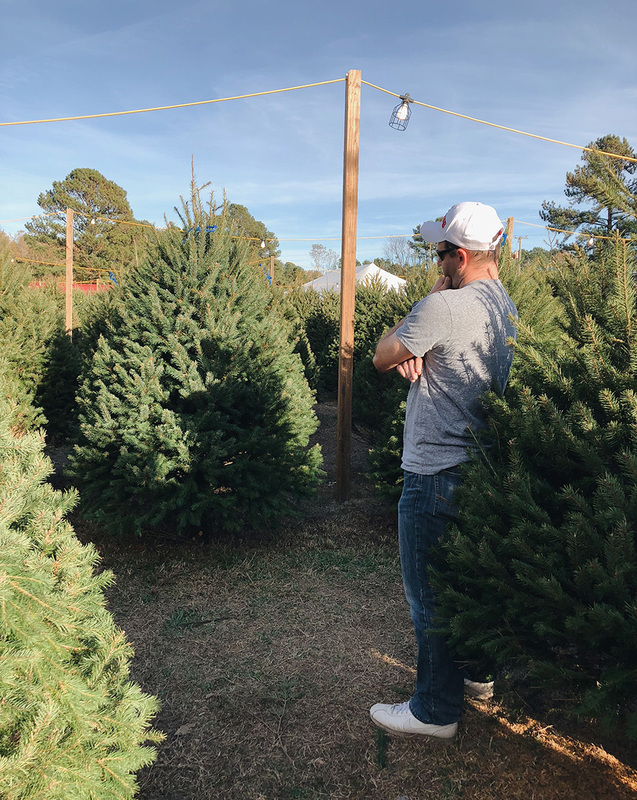 I love the smell of the real tree! I remember that my grandma always put white cottons on the tree so it looks like snow pile on the tree, and I would lie under the tree and inhaled the scent before she put all the gifts around it. 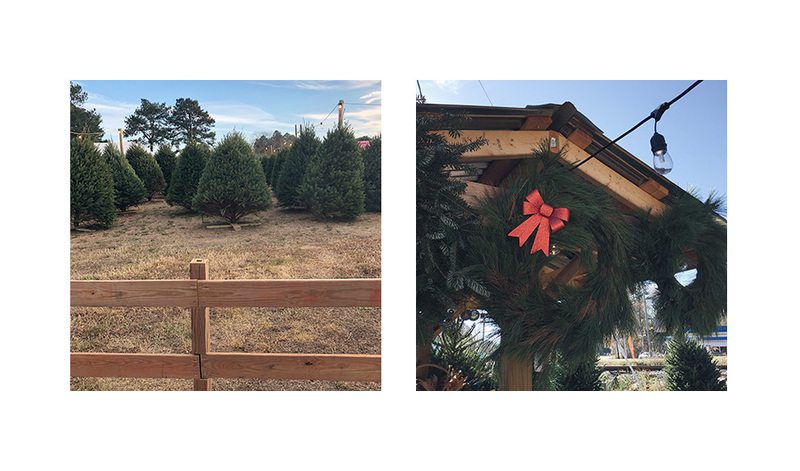 I'd love to see your tree! Awww! 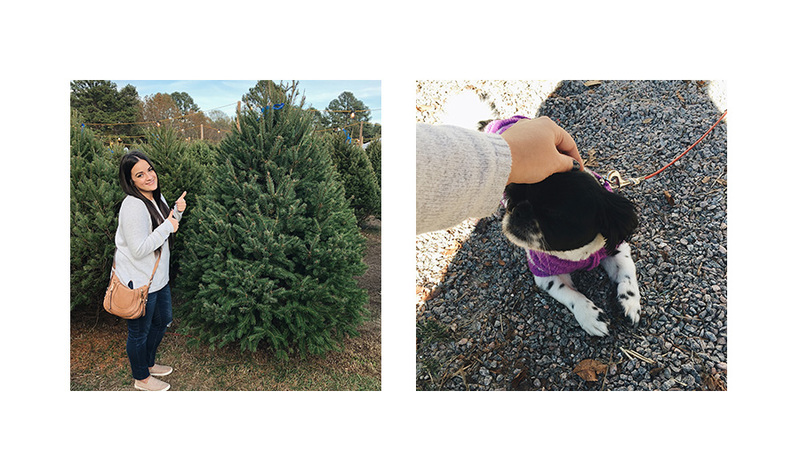 I hope to one day pick a real tree just to do it, but also when I have a house that's big enough to house a pretty tree like the ones in your pictures, Jess! I grew up with faux trees and have never had a real tree, except when we were younger, someone left a real tree on our apartment porch for Christmas. My brother and I wanted to bring it in and decorate it and mom said no bc it's "too messy," haha! And to answer your question, TOTALLY white lights all the way!